It’s official! Kenya Moore took to Instagram on Friday, June 16, to confirm rumors that she secretly married a mystery businessman in St. Lucia last weekend. 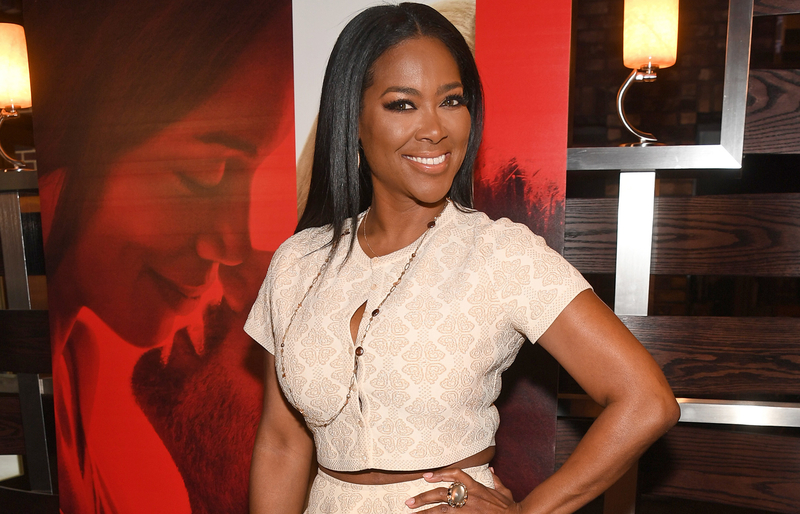 Kenya Moore Paras Griffin/Getty Images for Warner Bros. The Real Housewives of Atlanta star, 46, shared a stunning photo from the intimate ceremony, in which she and her groom are seen holding hands on the beach. “A good man is hard to find but true love is even harder. I found both. #truelove #agoodman #wife #god #happiness #crazyinlove #kenyamoore,” she captioned the post. Tamara Tattles, which was first to report the news, also shared pictures from the wedding. In the pics, Moore is seen wearing a low-cut white dress and a veil, while her new husband, whose identity she has kept under wraps, rocks a white tuxedo. Prior to confirming the nuptials, the Bravo star posted several photos from St. Lucia, including a beautiful sunset and a beachside breakfast complete with two glasses of champagne. “#AllINeed #thankful,” she captioned one shot.